Rates Reflect Specialty Nature Of Practice, We Would Conjecture. We can report that the National Association of Legal Fee Analysis (NALFA) has conducted a survey of partner hourly rates in bankruptcy cases, the results of which were reported in a recent post on its News Blog. We thank NALFA for these results in the bankruptcy area as far as newsworthy purposes. Appellate Court Also Reconciled Importance of Full Faith And Credit Act With Respect To Preclusive Effect Of Arbitrator’s Decision. The Ninth Circuit in In re CWS Enterprises, Inc., No. 14-17045 (9th Cir. Sept. 14, 2017) (published) had to reconcile two provisions: 11 U.S.C. § 502(b)(4), a provision limiting pre-petition attorney’s fees provided to a Chapter 11 bankruptcy debtor to the reasonable value of the attorney services, and the Full Faith and Credit Act (28 U.S.C. § 1738), which requires that courts give full faith and credit in the United States to a valid state court judgment. As we shall see, the Ninth Circuit devised a test which largely gives full faith and credit to a detailed fees ruling which does consider the reasonableness question in full such that there is no room for later reconsideration by a bankruptcy court. In this one, a litigant—before filing to become a Chapter 11 bankruptcy debtor—retained a law firm to assist another a law firm on various lawsuits, agreeing that the assisting law firm should get an 8% contingency fee based on a net settlement amount. The two law firms obtained a good result in one of the cases resulting in a $30.5 million settlement value for the client/litigant before litigant filed bankruptcy. Client balked at paying the fee, resulting in a fully contested arbitration in which client argued quantum meruit rather than the contract recovery was the proper measure of any relief. The arbitrator allowed both theories to proceed, but ultimately decided the contract recovery was correct and that law firm was entitled to all contingency requested fees (just under $2.5 million) in a single-spaced, 26 page decision fully discussing the contingency arrangement and fee reasonableness factors. However, under 11 U.S.C. § 502(b)(4), the bankruptcy court took a fresh look at the reasonableness questions and determined the law firm was only entitled to $440,250, prompting an appeal by the law firm to the district court. In turn, the district judge reversed, determining that she could basically give preclusive effect to the arbitrator’s much higher determination. This spawned client/debtor’s appeal to the Ninth Circuit. The Ninth Circuit first agreed with the analysis of the Tenth Circuit in Landsing Diversified Properties v. First National Bank and Trust Co. (In re Western Real Estate Fund, Inc.), 922 F.2d 592 (10th Cir. 1990), modified sub nom., 932 F.2d 898 (10th Cir. 1991), which held that state law governs a pre-petition attorney’s fees dispute in this context such that section 502(b)(4) was only a federal cap on a fee already determined pursuant to state law and that the risk under contingency fee arrangements is itself an element of the reasonableness analysis. But, in deciding that a bankruptcy court might be able to challenge a pre-petition state court judgment, the Ninth Circuit also agreed with Anthony v. Interform, 96 F.3d 692 (3d Cir. 1996), which held that the reasonableness cap could apply to state court judgments in the right circumstances so as to allow room for a reevaluation of reasonableness by a bankruptcy judge. Application of this new test did not appear to be hard for the Ninth Circuit in this context. The arbitrator fully vetted the reasonableness issues as far as the contingency arrangement was concerned. Here is what the Ninth Circuit said: “Reasonableness, so understood, can be (and quite often is) decided in an arbitration proceeding like the one conducted here. Arbitration is a common method of resolving fee disputes under the bar rules of many states. Overall reasonableness is the usual criterion. And in the typical fee arbitration, the ex ante agreement between the lawyer and client is strong evidence of reasonableness, particularly where the fee was a contingent one.” (Slip Op., p. 29.) The arbitrator rejected that the contingency agreement was unconscionable and entertained extensive evidence about the unreasonableness of the law firm’s fee compensation to no avail. The particular resolution in this matter in attorneys’ favor was not one of those cases where there “might be room” for a reduction under section 502(b)(4) following the state court judgment confirming a detailed, well-reasoned arbitration award. District judge’s full fee award ruling affirmed on appeal. Additionally, Remand Made To Include Bankruptcy Efforts And Provide A Better Explanation Of 50% Fee "Haircut". Roth v. Plikaytis, Case No. D070484 (4th Dist., Div. 1 Sept. 13, 2017) (partially published) is a situation where defendant prevailed on a breach of contract action allowing fee entitlement (after a jury trial), but where the trial court only awarded $139,750 out of a requested $442,622.78 in contractual attorney’s fees and reduced the claimed lodestar hours by 50% after eliminating recovery for bankruptcy efforts. During the fees proceedings, the trial judge refused to credit hourly rates contained in defense declarations filed in support of a prior motion for defense fees in the case which was denied without prejudice. The 4/1 DCA reversed and remanded for reconsideration of the fee award. In the published portion of the decision, the appellate court—in a holding instructive in all law and motion hearings—determined that the prior motion declarations should have been considered in the subsequent fee hearing. After reconciling various California Rules of Court and principles relating to summary judgment/adjudication motions, the 4/1 DCA concluded that there was no reason to justify the trial judge in failing to consider previously filed materials in a law-and-motion fee proceeding. Going to the unpublished portion of the opinion, the appellate court determined there were two errors in the trial judge’s fee decision. The first was failure to allow compensation for bankruptcy court efforts relating to the breach of contract claim brought by losing plaintiff. (Circle Star Center Associates, L.P. v. Liberate Technologies, 147 Cal.App.4th 1203, 1208 (2007); Chinese Yellow Pages Co. v. Chinese Overseas Marketing Service Corp., 170 Cal.App.4th 868, 882, 884-885 (2008).) In doing so, the appellate court disagreed with a contrary Ninth Circuit decision, finding it distinguishable and not adopting its reasoning in any event. The second reason for a remand was the dearth of explanation for the significant 50% “haircut” in lodestar hours, carefully explaining that the explanation was not adequate under the circumstances of the case. Basis For Order Was The Mandatory Victims Restitution Act. Although not a California case, USA v. Lagos, No. 16-20146 (5th Cir. Mar. 23, 2017 revised) (published) was interesting for purposes of illustrating that significant attorney's fees and related costs can be awarded as part of restitution entered in criminal cases. Lagos involved a nearly $16 million restitution award in a federal criminal proceeding against the defendant and in favor of General Electric Capital Corp. (GECC), the victim-lender in wire fraud counts, resulting in an eventual guilty plea by defendant to six counts in the criminal case. The restitution encompassed legal, expert, and consulting fees incurred by GECC primarily in a related bankruptcy case involving fraud proceedings. The Fifth Circuit affirmed, because such an award in its view was allowable under the Mandatory Victims Restitution Act, 18 U.S.C. §§ 2, 1343, 1344, disagreeing with a more narrow view of the statute by the D.C. Circuit Court of Appeals. Cap Only Applies To Claims Directly Resulting From Lease Termination, Not Collateral Issues. The Ninth Circuit in In re Kupfer, No. 14-16697 (9th Cir. Dec. 29, 2016) (published) considered the extent to which attorney's fees for certain work were or were not subject to the statutory cap for prospective rent aiding a defaulting, bankrupt tenant, which cap is contained in 11 U.S.C. § 522(b)(6). The panel concluded that the cap applies to fee work for claims that result directly from lease termination, but did not apply to collateral claims. In this instance, the cap did apply to fees attributable to litigating creditors' claims for future rent, but did not apply to fees attributable to litigating claims for past rent or attributable to litigating against debtors' ordinary breach of lease counterclaims. However, Vallejo Likely Owes Statutory Indemnification Duties To Officers For Both Awards. The Ninth Circuit in Deocampo v. Potts, No. 14-16192 (9th Cir. Sept. 8, 2016) (published) confronted an issue under a Chapter 9 municipality bankruptcy plan, harkening to say that more of these issues may be confronted as local governments face economic problems. The specific issue was whether a compensatory verdict and a later attorney’s fees award against individual police officers, who had been defended by the City of Vallejo a trial, were discharged by City’s Chapter 9 bankruptcy plan where no provision provided for an adjustment as it related to the officers. The Ninth Circuit answered “no,” but with a caveat. California Government Code section 825 does mandate indemnification to municipal employees acting “within the scope of their employment,” with the appeals court hinting that the police officers may well have to be indemnified by City given that the verdict/award were post-petition debts under indemnity principles. Although Plaintiff’s Claim Arose Pre-Petition, Plaintiff’s Post-Discharge Litigation Conduct Was Within The Discharge “Fair Contemplation” Of The Parties. In Picerne Construction Corp. v. Castellino Villas, A.K.F., LLC, Case No. 12-57186 (9th Cir. Sept. 6, 2016) (published), the Ninth Circuit confronted whether the bankruptcy court properly concluded that attorney’s fees incurred by plaintiff incurred during litigation after the confirmation of a Chapter 11 bankruptcy plan were discharged by that bankruptcy. Both the bankruptcy and appellate courts determined that they were under the circumstances. What happened was that Debtor failed to pay general contractor for work on an apartment complex project, with the parties’ contracts containing a fees clause. Contractor obtained a favorable arbitration award, with Debtor filing a Chapter 11 bankruptcy petition the day of the arbitration award. The bankruptcy court lifted the stay so that the parties could continue to litigate the mechanic’s lien claim in state court. Contractor filed an objection to confirmation of the Debtor’s Chapter 11 plan, with the parties reaching a settlement about contractor’s lien priority but not agreeing to anything about attorney’s fees and costs. The bankruptcy court approved the settlement and agreement and confirmed the Chapter 11 plan per the settlement agreement, resulting in a discharge of Debtor. However, the bankruptcy court denied contractor’s motion for fees based on the plan confirmation discharge. Contractor did not get any more relief on appeal. The principal thrust of the decision was that the continued post-petition litigation of a pre-petition claim did not fall outside the fair contemplation of the parties that fees might be incurred in the future and thus fall within the bankruptcy discharge. Here, Debtor did not commence new litigation or return to a new fray, but only litigated in line with what the parties agreed to under the settlement agreement. Post-Petition Was Passive, Not Active, So Discharge Principles Applied. In Reese v. Mingramm, Case No. B262021 (2d Dist., Div. 6 May 18, 2016) (unpublished), a defendant in a later personal injury action filed a Chapter no-asset bankruptcy but failed to list the personal injury plaintiff as a creditor given that the matter was just a claim and was insured. Debtor assumed the accident did not materially relate to his bankruptcy, with the bankruptcy court issuing a discharge. After the discharge, personal injury plaintiff filed suit and obtained a $ 538,000 jury verdict against defendant/debtor, with debtor informing everyone about the bankruptcy after the verdict. Debtor’s insurer tendered a full $250,000 policy limit offer, which was rejected by personal injury plaintiff. Plaintiff then filed a motion to declare the judgment non-dischargeable and obtain attorney’s fees and costs against discharged debtor based on bad faith denial of requests for admission justifying costs-of-proof sanctions under CCP § 2033.420. The trial court denied the motions, a result sustained on appeal before the 2/6 DCA. Indemnification And Fee Premium Provisions Did Not Surmount ASARCO. In Baker Botts L.L.P. v. ASARCO, Inc., 135 S. Ct. 2158, 2169 (2015) [discussed in our June 19, 2015 post], SCOTUS held that bankruptcy estate counsel cannot obtain fee recovery for defending the propriety of their fee applications under 11 U.S.C. § 330. Although two firms recently took a stab at structuring around ASARCO, two Delaware bankruptcy judges rejected the attempts to do so. Counsel for the Committee of Unsecured Creditors (Committee Counsel) inserted a provision in its retention agreement with the Committee that it was entitled to indemnification from the bankruptcy estates in the event Committee Counsel incurred costs, expenses, and fees to defend its fee applications before the bankruptcy court. Although arguing that fee recovery was sought under 11 U.S.C. § 328(a) rather than § 330 and that the recovery fell within a contractual exception to the fee prohibitions, the bankruptcy judge in In re Boomerang Tube, Inc., Case No. 15-11247 (Bankr. D. Del. Jan. 29, 2016) did not buy that these distinctions surmounted ASARCO, given that § 328(a) has no express provision of fees in this context and that the contract was between Committee and Committee Counsel (with the bankruptcy estate being a nonsignatory to it). Baker Botts tried again, after ASARCO, to gain fee entitlement for “fees on fees” defense work by structuring a provision in its retention that allowed for a 10% Fee Premium with respect to aggregate fees, a Fee Premium which would be waived if BB did not incur material fees and expenses from defending its fee applications. The bankruptcy judge in In re New Gulf Resources LLC, Case No. 15-12566 (BLS) (Docket Nos. 228 & 334, Feb./Mar. 2016) found that this creative arrangement still ran afoul of ASARCO’s reasoning. Fee Activities Were Not Within the Purview Of Either Statute. Debtor/employer eventually “defensed” a bankruptcy nondischargeability action brought by certain employees arguing employer was an ERISA fiduciary for purposes of the “fiduciary” exception to bankruptcy discharge, a determination found to not legally be sustainable under a prior Ninth Circuit opinion (meaning employer was not an ERISA fiduciary for purposes of nondischargeability). Employer then moved to recover fees expended in defending the nondischargeability action from bankruptcy court through appellate court levels. The fee request was made before the Ninth Circuit, which denied it in Bos v. Board of Trustees, No. 13-15604 (9th Cir. Mar. 24, 2016) (published). California Civil Code section 1717 did not provide a fee entitlement basis because the nondischargeability action was not “on a contract” as required under the statute. The nondischargeability action only involved the Bankruptcy Code, and no determination was necessary on the enforceability of any contracts between the involved parties; in fact, any contract was only collateral to the overall dispute on nondischargeability. ERISA’s discretionary fee-shifting provision, 29 U.S.C. § 1132(g)(1), was not implicated because the nondischargeability action was not an “action under” ERISA, but was grounded only under the Bankruptcy Code given how the cause of action was framed. Certiorari Denied on January 8, 2016. On March 9, 2015, we posted on the Eleventh Circuit’s decision in DVI Receivables XIV, LLC v. Rosenberg, where petitioning creditors in an involuntary bankruptcy were assessed with fees, including appellate fees, for prosecuting the involuntary petition in bad faith. U.S Bank had sought certiorari from the U.S. Supreme Court, but we can report that petition was denied on January 8, 2016. Case Has Nice Discussion On Nondischargeable/Dischargeable Fee Awards in Bankruptcy. We have to give credit to Judge Yegan and his colleagues on the Second District, Division 6. They helped clarify an issue we have seen before as far as what type of family attorney’s fees awards in family law proceedings are nondischargeable or dischargeable in nature once a bankruptcy is at issue on behalf of the obligor. In Marriage of Angell, Case No. B259073 (2d Dist., Div. 6 Oct. 27, 2015) (unpublished), husband argued that a $15,000 fees award to wife was nondischargeable under a Chapter 13 bankruptcy proceeding. The appellate court disagreed, indicating that the fees award followed the principal award and was nondischargeable. If the domestic support obligation is nondischargeable, then the fee award attendant thereto is nondischargeable. However, if the property division or settlement awards are unattached to domestic support obligations, then fees relating to these activities are dischargeable in nature. (In re Duncan, 122 B.R. 434, 435-436 (Bankr. 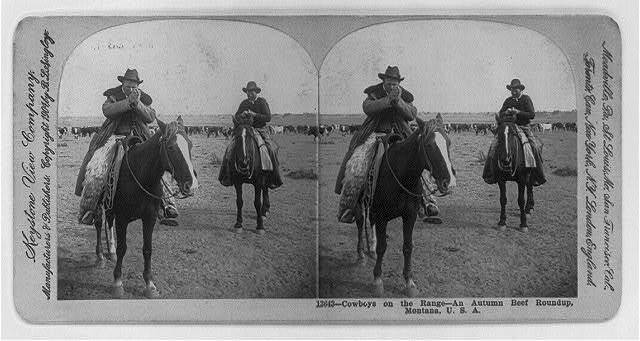 N.D. Okla. 1991).) Nice clarification. Bankruptcy: Schwartz-Tallard Opinion Result Holds Up On En Banc Hearing. Debtor Can Obtain Fee Recovery For Successfully Prosecuting Suit For Damages For Automatic Stay Violation. In earlier posts of April 17, 2014, August 29, 2015, and December 22, 2014, we posted on In re Schwartz-Tallard, where the Ninth Circuit determined that 11 U.S.C. § 362(k) authorized attorney’s fees recovery from debtor’s prosecution of a suit for damages redressing the violation of the bankruptcy automatic stay. We can now report that the Ninth Circuit has adhered to this ruling in an en banc decision published on October 14, 2015, linked here. “Hanging Paragraph” Claim Was “On The Contract” Under A Fees Clause. In In re Penrod, No. 13-16097 (9th Cir. Oct. 1, 2015) (unpublished), debtor was successful against a car lender in a “hanging paragraph” dispute under 11 U.S.C. § 1325(a)(*) [no typo here – because this subsection was not numbered after (a)(9) by the legislation] where lender argued the whole claim should be secured while debtor argued it should only be partially secured, with debtor beating lender’s objection to confirmation of the Chapter 13 plan. Debtor then moved to recover $245,000 in attorney’s fees based on a fees clause in the auto loan documents, which was unilaterally worded in favor of lender. The bankruptcy judge denied the fee request. The Ninth Circuit reversed. It found that the “hanging paragraph” dispute did arise from enforcement of the auto loan contract, such that it was compensable under Civil Code section 1717 given that the unilateral fees clause is construed reciprocally under California law. There is a nice discussion of why this matter was not one solely based on bankruptcy law, but involved nonbankruptcy/contractual interpretation allowing for recovery of fees. Reversed and remanded to entertain debtor’s fee request. Award of Arbitration Costs Was Affirmative Relief Violating Automatic Stay, With Striking Of Costs Award But Affirmance Of Merits Award Being The End Results. In Hilton v. Allcare Medical Mgt., Inc., Case No. B253984 (2d Dist., Div. 1 Sept. 25, 2015) (unpublished), former employee lost an arbitration to former employer, but then declared Chapter 13 bankruptcy. However, the arbitrator concluded that she could entertain the fees/costs requests and then awarded arbitration costs of $15,166.37 against the bankrupt and in favor of former employee as the prevailing party, although denying the ex-employer’s motion to recoup fees. SCOTUS Decides American Rule Is In Play, With Congress Not Overriding In 11 U.S.C. § 330(a)(1). The United States Supreme Court, in Baker Botts L.L.P. v. Asarco LLC, No. 14-103 (June 15, 2015) (published), rejected Baker Botts’ application to obtain another $5 million in fees for successfully supporting its prior professional fee work as debtor’s company’s Chapter 11 counsel (rebuffing the challenges to fee applications by debtor itself). The predicate statute relied by in Baker Botts, 11 U.S.C. § 330(a)(1), did not abrogate the American Rule (each party bears its own fees/costs in the absent of a contract or statute to the contrary) given that the language “services rendered” could not be read to cover fee-defense litigation work, as opposed to standard Chapter 11 estate work. This was a 6-3 decision. A round, white Botts’ dot. Bidgee (2009). Creative Commons Attribution-Share Alike 3.0 Unported license. End Result Was Denial of Most Fee Recovery To Judgment Creditor, Although Routine Costs Were Allowed To The Creditor. In the companion cases of Devereaux v. Clontz, Case Nos. H037998 and H039324 (6th Dist. Apr. 30, 2015) (unpublished), judgment creditor sought attorney’s fees and costs in connection with post-judgment collection efforts against judgment debtor. The trial court essentially denied most post-judgment fee requests (after initially awarding fees), but did grant recovery of routine costs to judgment creditor for enforcement efforts. Both sides appealed in separate appeal causes, but the result remained the same. That shifted consideration in the companion case to the trial judge’s award of routine costs to judgment creditor. Judgment debtor argued the trial judge had no jurisdiction to consider post-judgment costs while the other appeal was pending, but this argument was dispatched by the reasoning in Varian Medical Systems, Inc. v. Delfino, 35 Cal.4th 180, 189 (2005). With respect to the merits, judgment debtor failed to meet its opposition burden of showing the costs were unnecessary or unreasonable given judgment creditor’s prima facie presentation of the costs through a costs memorandum. 11th Circuit Disagrees With 9th Circuit Ruling On Appellate Fee Availability For Dismissal Order. Petitioning creditors in involuntary bankruptcy filings need to be aware that they can be subject to having to pay a debtor’s attorney’s fees for obtaining a dismissal of the case and also may have to pay bad faith damages (both compensatory and punitive) as well as debtor’s fees for prosecuting the bad faith damages case against petitioning creditors. A de facto petitioning creditor (an individual who signed on behalf of certain claimed creditors) found that out the hard way in DVI Receivables XIV, LLC v. Rosenberg, No. 13-14781 (11th Cir. Feb. 27, 2015) (published). What happened was that a debtor in an involuntary bankruptcy successfully obtained dismissal of the case brought by certain petitioning creditors, with debtor also being able to prove that the individual signing was the real de facto petitioning creditor and the “front” entities were only “pass through vehicles.” The dismissal was appealed, but affirmed. Debtor then brought bad faith damages claims against petitioning creditors, with the fee claims sent to the bankruptcy judge and the damages claims to a jury trial. Eventually, the bankruptcy court awarded dismissal fees, appellate fees for sustaining the dismissal, “fees on fees,” and fees incurred to prosecute the bad faith claims in an amount of $1,034,295.45 (along with $39,015.37 in costs). A jury found for debtor, awarding $1.12 million in compensatory and $5 million in punitive damages, with the district judge eventually lowering the total tally to $360,000 for emotional distress. Petitioning creditors challenged some of the fee awards, with the Eleventh Circuit determining fee entitlement was indeed existent under 11 U.S.C. § 303(i)(1). Creditors did not challenge the dismissal fees. The federal appeals court found that the appellate fees awarded for sustaining the dismissal were recoverable under this statute, parting company from a contrary ruling in Higgins v. Vortex Fishing Sys., Inc., 379 F.3d 701, 708-709 (9th Cir. 2004). It also determined that fees to prosecute the bad faith damages claims were recoverable, but remanded for a recalculation. Also, Chapter 7 Trustee Properly Dismissed Case Against Defendants, With Chapter 7 Trustee “Owning” the Dismissed Claims. Plaintiff, a Chapter 7 bankrupt, tried to get attorney’s fees a year after one of his actions was dismissed in favor of defendants by the Chapter 7 trustee under a settlement agreement. Plaintiff still went to trial, but was non-suited. A year later, plaintiff filed a motion for attorney’s fees as a prevailing party against defendants. The motion was denied. That result was upheld in Sui v. 2176 Pacific Homeowners Assn., Case No. G049822 (4th Dist., Div. 3 Feb. 24, 2015) (unpublished), a 3-0 decision authored by Justice Ikola. The upfront problem was that the fee motion was filed a year after the lawsuit dismissal, not the required 60 days under California Rules of Court. Plaintiff argued the dismissal by the Chapter 7 trustee was invalid because no consent was given by plaintiff, but this contention failed because the causes of action in the dismissed lawsuit belonged to the Chapter 7 trustee. Finally, the settlement agreement specified that each side would bear their own respective costs and fees, another independent reason to support the decision below—although the untimeliness of the fee request was the only reason needed by the appellate court to sustain the fee denial ruling. Seventh Circuit Disagrees That Bankruptcy Judge Lacked Jurisdiction To Decide Fee Entitlement Issue. In Sweports, Ltd. v. Much Shelist, Case No. 12-14254 (7th Cir. Jan. 9, 2015), bankruptcy counsel and a financial advisor to the Official Committee of Unsecured Creditors (“claimants”) in a Chapter 11 proceeding filed to recover fees of at least $780,000 after the bankruptcy case was dismissed when the U.S. Trustee moved to convert it to a Chapter 7 proceeding. The bankruptcy judge denied fees based on the notion he did not have jurisdiction because the bankruptcy case had been dismissed. Claimants appealed, and Circuit Judge Posner on behalf of a Seventh Circuit panel reversed the fee denial. Circuit Judge Posner observed that there was no final judgment resolving the controversy between the parties. “The order dismissing the bankruptcy didn’t do that. There was a loose end, left dangling—[claimants’] claim for fees.” However, the Seventh Circuit was careful to distinguish post-dismissal fee entitlement (a ruling the bankruptcy judge could make) from an order to pay fees (something which couldn’t be done because there was nothing in the bankruptcy case from which to order payment, so the route to go was state court collection efforts against debtor). En Banc Order Came Down on December 19, 2014. In our April 17 and August 29, 2014 posts, we discussed In re Schwartz-Tallard, 765 F.3d 1096 (9th Cir. 2014), which determined in a 2-1 opinion that a Chapter 13 bankruptcy debtor could recover attorney’s fees on appeal for successfully defending an automatic stay violation determination as “damages” under 11 U.S.C. § 362(k)(1). Because the majority and dissent varied on the application of the Court’s own prior decision in Sternberg v. Johnston, 596 F.3d 937 (9th Cir. 2010), the Ninth Circuit ordered an en banc hearing of the matter in a December 19, 2014 Order. Fifth Circuit Decision Saying No Fees For These Efforts Under Scrutiny. Fifth and Ninth Circuits Are Split On The Issue. Today, the U.S. Supreme Court granted certiorari to resolve whether bankruptcy judges have discretion under Bankruptcy Code section 330(a) to award bankruptcy attorneys fees and costs for defending fees/expenses which are the subject of fee applications for “core” fees. (It has long been recognized that fees and costs can be awarded for preparing bankruptcy fee applications.) The Ninth Circuit, in In re Smith, 317 F.3d 918, 929 (9th Cir. 2002) said “yes,” while the Fifth Circuit, in Baker Botts L.L.P. v. ASARCO LLC, 751 F.3d 291 (5th Cir. 2014) said categorically “no.” The Fifth Circuit, in effect, denied about $5.5 million in fees and costs to Baker Botts in the ASARCO bankruptcy if we read the Fifth Circuit opinion correctly, leading to a grant of certiorari (No. 14-103) to resolve the split among federal circuit courts. Concurring Decision Believes Sternberg Opinion Wrongfully Decided, But Still Follows It. In the Matter of Snowden, No. 13-35291 (9th Cir. Sept. 12, 2014) (published) is a decision arising from 11 U.S.C. § 362(k)(1), which allows a bankruptcy petitioner to obtain attorney’s fees and damages incurred in litigating over a stay violation. Bankruptcy petitioner obtained a $575 payday loan and then listed the loaning bank as an unsecured creditor. However, bank engaged in “self help” and electronically debited bankrupt’s checking funds so as to cause an overdraft, which produced a lot of emotional distress because bankrupt’s finances spiraled downward and she could not buy tennis shoes or pay for a haircut for her daughter. In fairly protracted litigation over the stay violation, bankrupt eventually won $12,000 emotional distress damages, $12,000 punitive damages, and $2,538.55 in section 362(k)(1) attorney’s fees. The district court, in two appeals of bankruptcy decisions, denied bankrupt fees in the first successful appeal before the district court, reasoning that many of the fees were incurred to obtain damages rather than remedy the stay violation—in accord with the “bright line” Ninth Circuit rule enunciated in Sternberg v. Johnston, 595 F.3d 937, 940 (9th Cir. 2010) [fees obtained to remedy the stay compensable, but fees obtained in pursuing damages not compensable]. The district court essentially ruled that a May 2009 conditional settlement offer from bank to pay $1,495 back to debtor “ended” the stay violation, although debtor did not accept it, litigated further, and obtained a December 2009 bankruptcy court order directing the bank to return the $575 earlier seized. The Ninth Circuit reversed and remanded the fee award. All three judges on the panel found that the stay violation was not ended in May 2009, with the bank not being able to circumvent 362(k)(1) fees by making a conditional settlement offer rejected by the debtor who had to litigate further to actually obtain an order directing return of the seized funds. Instead, the stay violation continued until the December 2009 restore funds order. The panel found that debtor had used the stay protections as a shield such that fees incurred on appeal on stay violation issues were compensable, although ordering a remand to determine which fees were for the stay violation versus damages pursuit. In a concurring opinion, Circuit Judge Watford disagreed with Sternberg’s reading of 362(k)(1), preferring instead the Fifth Circuit’s analysis in In re Repine, 536 F.3d 512, 522 (5th Cir. 2008) [holding that fees were recoverable for both the stay violation and damages pursuit phases]. However, the concurring judge was bound by Sternberg and followed its demarcating rule in Snowden. Ninth Circuit Comes To Same Result, But Reissues Slightly Different Opinion. For those of you facing “actual damages” concerns in the automatic stay area, we discussed In re Schwartz-Tallard, Case No. 12-60062 (9th Cir.) in our April 17, 2014 post. We can now report that the previous decision has been withdrawn and reissued on August 29, 2014 (still published), coming to the same result but with slight twists/additions in reasoning by both the majority and dissenting Circuit Judges. Contrast That With Nonrecoverability of Fees For Adversary Proceeding Work Related to Pursuit of Damages From Stay Violation. The Ninth Circuit in In re Schwartz-Tallard, Case No. 12-60052 (9th Cir. Apr. 16, 2014) (published) dealt with a different issue leading to a different result than that reached in Sternberg v. Johnston, 595 F.3d 937 (9th Cir. 2010). Sternberg determined that a debtor’s fee for work on an adversary proceeding seeking damages for a stay violation were not “actual damages” under a bankruptcy statute, namely, 11 U.S.C. § 362(k)(1) (one stating that an individual injured by willful stay violation shall recover actual damages, including costs and attorneys’ fees). However, in contrast to Sternberg, the Schwartz-Tallard panel decided debtor’s successful appellate defense of a bankruptcy court determination that a creditor violated a stay was much different and did constitute “actual damages” under section 362(k)(1). Goes to show you how distinguishing between different purposes and how different procedural contexts can drive a result in a diametrically opposite direction. Promissory Note Clause Did Not Apply and No Independent Fee Entitlement Basis Shown; Also, Debtor Only Allowed Recovery of Limited Costs. HAT TIP—We give a “hat tip” to Ramiro Flores Munoz, who was kind enough to send us a copy of In re Hosseini, BAP No. CC-12-1516-DKiTa (9th Cir. B.A.P. Dec. 19, 2013) (unpublished). There, debtor student obtained a discharge of his student loans through an adversary proceeding brought against lender Key Bank pursuant to 11 U.S.C. § 523(a)(8). The discharged promissory note between debtor and Key Bank, governed by Ohio law, had a fees clause allowing for fee recovery in enforcing the terms of the promissory note when student was in default of paying the student loans under the note. After the discharge, student sought to recover from bank $110,701.50 in fees and $4,960.39 in costs. The bankruptcy judge denied fees and awarded only filing fees/recovery of service of process fees under C.D. Cal. Local Bankruptcy Rule 7054-1. These determinations were affirmed on appeal by the Ninth Circuit BAP panel. Nothing in the Bankruptcy Code or section 523(a)(8) allowed for fee entitlement in this type of situation. The promissory note fees clause did not apply for two reasons: (1) the thrust of action was to discharge a debt, not enforce the promissory note; and (2) Ohio law, which is different than other states’ laws, actually establishes that a contractual provision allowing for the recovery of attorney’s fees to enforce a defaulted debt obligation is unenforceable as against public policy. With respect to the cost award, LBR 7054-1 did not allow debtor to recover any of the overhead expense items claimed in the costs bill. CCP § 1021, Not Civil Code § 1717, Afforded Relief. In re Charalambous (Hamilton v. Charalambous), BAP No. CC-13-1042-PDKi (BAP 9th Cir. Mem. Decision July 3, 2013) (unpublished) is an illustration of how one needs to carefully pick the basis for fee entitlement. Although Civil Code section 1717 is an attractive first impulse ground, it may need to yield to other statutory bases, especially where noncontractual claims are at issue. Here, creditor prevailed in non-discharging a debt under 11 U.S.C. § 523(a)(4), which deals with a trust fiduciary relationship. Based on a broadly worded fees clause in the agreement with debtor, creditor moved to recover attorney’s fees of $254,291.25 for prevailing in the nondischargeability action. The bankruptcy judge said “no,” reasoning that the claim was not based “on the contract” under Civil Code section 1717 and no one prevailed given that creditor did not obtain relief based on other nondischargeability grounds. The Ninth Circuit BAP panel reversed. Unlike section 1717, CCP § 1021 applies to tort actions as well as contract disputes. Because the debtor-creditor dispute was essentially a tort dispute according to the reviewing court, the broadly worded fees clause gave rise to an independent basis for a fees award. To make things clear, the BAP panel dropped a footnote indicating that the “prevailing party” discretionary process under section 1021 is much more restricted than that under Civil Code section 1717 for purposes of guiding the bankruptcy judge on remand (hint! hint!). BLOG OBSERVATION AND HAT TIP--The key here is whether you buy that section 523(a)(4) nondischargeability relief is akin to defalcation, a tort. We “hat tip” blog follower Andrew L. Fagan, Esq. of Santa Rosa for alerting us to this opinion. Court Discusses “Substantial Justification” Defense to an Award of Fees Under 11 U.S.C. § 523(d). Although the old adage “bad facts make bad law” may apply in some contexts, that is not the case here. Rather, bad facts may lead to good law, which is what happened in In re Machuca, Jr., 2012 Bankr. LEXIS 5939 (9th Cir. B.A.P. Dec. 14, 2012) (published). Machuca involved a lender suing to keep a debtor’s consumer debt on his house junior lien nondischargeable in nature. Lender did not do well at all, losing a summary judgment in debtor’s favor that was never timely appealed. The facts were not good in showing that lender reasonably relied on loan application statements so as to be entitled to nondischargeability: (1) there were income discrepancies between debtor’s application and unsigned loan application; (2) the debtor put down a base employment income for a five-year state corrections officer that was simply implausible (almost $250,000 per year); (3) the last minute signing of the loan application, just before loan funding and after the date debtor signed the promissory note; (4) lender’s approval and funding of the loan without income verification (a “stated income” loan); and (5) suing successor lender’s purchase of the loan without income verification. These “red flags” led to a summary judgment and the lower court’s subsequent award of attorney’s fees of $9,000 to winning debtor under 11 U.S.C. § 523(d). Red flags. 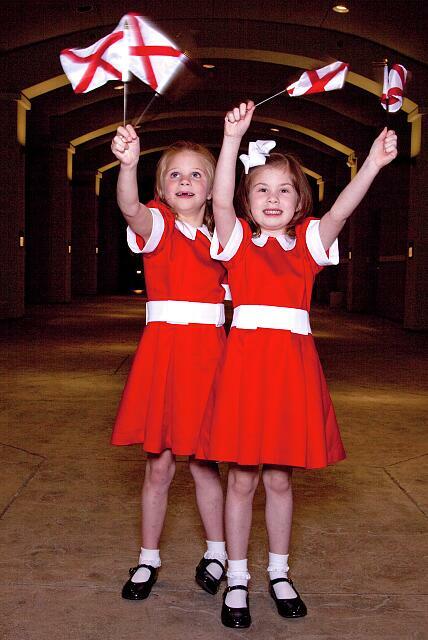 Lela Davidson and Josie Aronor wave Alabama flags in their red dresses before going off to see the play "Annie" in Montgomery, Alabama. 2010. Carol M. Highsmith Collection. Library of Congress. Dissenting Justice Would Reconsider Hawaii Corp. Rule. In Klestadt & Winters, LLP v. Cangelosi, Case Nos. 10-16970 et al. (9th Cir. Mar. 6, 2012) (for publication), the Ninth Circuit, in a 2-1 decision, determined that Rule 11/inherent powers sanctions orders against a client and their attorneys by a district court sitting in bankruptcy are not immediately appealable under the reasoning of In re Hawaii Corp., 796 F.2d 1139 (9th Cir. 1986), U.S. Supreme Court decisons interpreting the scope of 28 U.S.C. § 1291’s jurisdictional grant, and Cunningham v. Hamilton County, Ohio, 527 U.S. 198 (1999). [The sanctions order was a big one--clients and attorneys were held jointly and severally liable for some $279,615 in sanctions, an amount based on the lenders’ attorney’s fees and expenses, as well as an order for counsel to disgorge separate retainers of $300,000 each.] The dissenting circuit judge disagreed with the Hawaii Corp. rule (as did the Fifth, Second, and First Circuits) and disagreed with applying Cunningham to a main bankruptcy case. Distinction Should Be Remembered To Avoid Forfeiture Of Fee Compensation. U.S. Bankruptcy Judge Alan Jaroslovsky of the Northern District of California, in a short memorandum decision in In re Dixon, Case No. 09-11851 (Doc. #144, filed Sept. 19, 2010), gives a poignant reminder to all debtor bankruptcy attorneys representing individuals in Chapter 11 proceedings: you represent the bankruptcy estate, not the individual. The importance of this distinction could mean the difference in obtaining bankruptcy court approval for fee compensation. Apparently, bankruptcy counsel for the Chapter 11 estate defended the debtor’s claim of exemption of over $1 million in retirement funds over a creditor’s objection. Judge Jaroslovsky found this was a clear conflict of interest, but the real rub is that Chapter 11 counsel sought $8,000 in fee compensation for its efforts from the bankruptcy estate. Judge Jaroslovsky observed he was fairly tolerant of Chapter 11 counsel assisting an individual debtor if no compensation is sought from the estate and if the actions taken are not contrary to the interests of the estate. However, he found that Chapter 11 counsel here had crossed the line and forgotten that its loyalties were owed to the estate. The bankruptcy judge went on to observe that unpaid fees were subject to potential forfeiture for such a conflict, even though the court “has some discretion to forgive and forget.” He did just that to avoid financial disaster for Chapter 11 counsel. His ruling was to reduce counsel’s fees by the $8,000 expended to defend the exemption, although barring counsel from collecting them from the estate or individual debtor. He also ruled that any further conflicting actions would result is a complete forfeiture of all compensation in the case. We thank reader Andrew L. Fagan for sending us this decision, which is a sober reminder that should not be lost on bankruptcy counsel representing individual debtors. Second District, Division 6 Applies This Principle to Resolve Appeal. The Second District, Division 6, in the elegantly short opinion of Somogyi v. Adley, Case No. B217525 (2d Dist., Div. 6 Sept. 21, 2010) (unpublished), reminds us of an important principle that many might think would not apply to post-discharge, pre-petition perfected judgment liens. Somogyi involved an attorney who won an arbitration award for fees owed to him for representing appellant in a dissolution proceeding, with the award of $62,881.49 later being confirmed into a judgment. Winning lawyer then obtained a writ of execution and sought to sell appellant’s dwelling. An order for sale issued, but appellant then filed for bankruptcy. Lawyer obtained relief from the automatic stay, with the state court trial judge denying appellant’s multiple requests for a stay of the sheriff’s sale. The opinion was authored by Justice Perren, and is a good one for litigants and litigators to use when faced with a judgment debtor attempting to shield judgment liens when there is property remaining in the bankruptcy estate subject to relief from the automatic stay. Ninth Circuit Does Determine That “Fees on Fees” Are Not Recoverable In Sanctions Proceeding By Which Creditors’ Controlling Persons Held Jointly and Severally Liable For Involuntary Petition Dismissal Expenses. Here is an interesting one for you bankruptcy practitioners, with co-contributors Marc and Mike knowing several of the bankruptcy attorneys involved in the appeal. In the Matter of Southern California Sunbelt Developers, Inc., Case Nos. 08-56570 et al. (9th Cir. June 9, 2010) (for publication) involved a situation where debtors successfully obtained dismissal of an involuntary bankruptcy petition filed by 13 petitioning creditors, with the bankruptcy judge awarding debtors $745,000 in costs/fees (including “fees on fees” in litigating the fee requests) and $130,000 in punitive damages, all under 11 U.S.C. § 303(i), a special fee-shifting statute in this area. The bankruptcy court also sanctioned two controlling persons of certain creditors by making them jointly and severally liable for the costs and expenses relating to dismissal of the involuntary petition. Certain creditors and controlling persons appealed. Part 1 of 2: First Ten Grouping—Nos. 11-20. As noted in an earlier post, we have accumulated our “top 20” attorney’s fees decisions, recognizing that we limit the list to published decisions and that the order reflects nothing about the importance of the decision. Rather, we try to survey decisions of interest in different areas of the substantive law based on all the decisions we have examined during 2009. Without further ado, here we go. Attorneys representing Social Security disability insurance claimants are presumptively entitled to fee awards under their contingency arrangements; majority reversed magistrate reductions of awards to only 6.68-11.61% of past-due benefits award. Prevailing defendants in civil harassment actions can recover discretionary attorney’s fees even if the underlying action was not frivolous or was not brought in bad faith. Financial condition of indigent litigant is a factor to consider in assessing fees to a prevailing party in a Davis-Stirling Act action. Unsecured creditor’s request for postpetition-incurred contractual/statutory fees, arising from prepetition claim, is allowable. 16. Biltmore Associates, LLC v. Twin City Fire Ins. Co., 572 F.3d 663 (9th Cir. Attorney’s fees, if other than sanctions or if not awarded for trustee wrongdoing, can only be awarded against trustee in a representative capacity. Attorney’s fees were properly awarded under the Endangered Species Act even though underlying controversy was moot; court will not review the merits determination, if moot, for purposes of testing the fees award; concurring opinion suggests that the U.S. Supreme Court may want to review the issue. 14. Alan T.S., Jr. v. Superior Court, 172 Cal.App.4th 238 (4th Dist., Div. 3 Mar. Interesting discussion of problems that plague the family law court system, made in the course of reversing awards for failure to consider the relevant “need” factors under Family Code sections 2030 and 2032. Plaintiff’s amicus curiae work in related action was proper basis for additional fee award under California Code of Civil Procedure section 1021.5 (the private attorney general statute). Trial courts have discretion to award or deny anti-SLAPP attorney’s fees to defendants in cases where plaintiffs dismiss their actions without prejudice. Code of Civil Procedure section 128.7 sanctions cannot be granted unless a prior, unfiled “safe harbor” motion has set a definitive hearing date in the motion sent to the opponent. Our next top 10 will follow shortly before the New Year. Happy Holidays to everyone. Fees Are Not Recoverable For Prosecuting Stay “Damages” Claims Unconnected to Actual Enforcement of Stay Violation. For you bankruptcy practitioners, we have a recent case of interest about the attorney’s fees recoverable in enforcing the automatic stay. Do they extent to subsequent “damages” claims in a bankruptcy adversary proceeding apart from actions that actually resulted in remedying a stay violation? The Ninth Circuit has weighed in on this issue. In Sternberg v. Johnston, Case Nos. 07-16870 & 08-15721 (9th Cir. Oct. 1, 2009) (for publication), the Ninth Circuit held that attorney’s fees are only awardable for those segments of proceedings associated with remedying the stay violation, not subsequent litigation segments associated with efforts to collect damages for stay violations.